Dance Classes, Lessons, Events & Courses for In Motion Dance Somerset. In Motion Dance teach a smooth slotted Jive which looks more like West Coast Swing with out the hard footwork, it looks fantastic and easy to learn. Dance classes are held at Weston Super Mare, Banwell. Dance classes are relaxed, fun and a great way to meet and make new friends. Anyone new to In Motion Dance can try a dance lesson for FREE, no need to book just turn up any Tuesday evening just before 8pm at Banwell village hall. We don't run set courses so you can start any evening you wish. Dance Studio/School, Regular Dance Classes, Dance Company, Workshops. 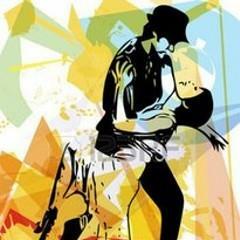 Dance Styles: West Coast Swing, Le Roc, Modern Dance, Jive, Blues. West Coast Swing, Le Roc, Modern, Jive, Blues Instruction at Beginner to Int/Advanced level, Practice at Beginner to Int/Advanced level, Social Dancing at Beginner to Advanced level. Doors open 19:45. Admission £7.00. Bring your own drinks.Weekly held Slotted Jive dance classes at Weston super mare Banwell beginner class starts 8pm until 8.50pm followed by Intermediate Class at 9.20pm there's practice time between classes and after the Intermediate class until close at 11pm. You can come and stay as long as you want for one combined fee, there's no set course so you able to start whenever you want and missing a week or two does not matter. The Class is Friendly and Fun making everyone welcome even with two left feet. just take a look its FREE to try and looks fantastic. you don't need to book or bring a partner... just a smile.